One of the best solutions in terms of pricing and providing users with unlimited cloud storage, Amazon Cloud drive, on the other hand, has quite a limited desktop client, doesn’t offer you the possibility to upload files larger than 2Gb through the web or watch the video that exceeds 20 minutes. 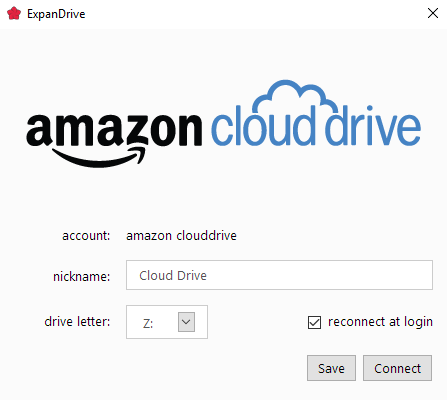 ExpanDrive gives you the opportunity to connect to Amazon Cloud Drive using a familiar file browser interface native to your OS as well as the opportunity to work with the files without downloading them first to your machine. Click on a plus sign on the ExpanDrive window. Choose the Amazon Cloud Drive option among the list of supported cloud services. 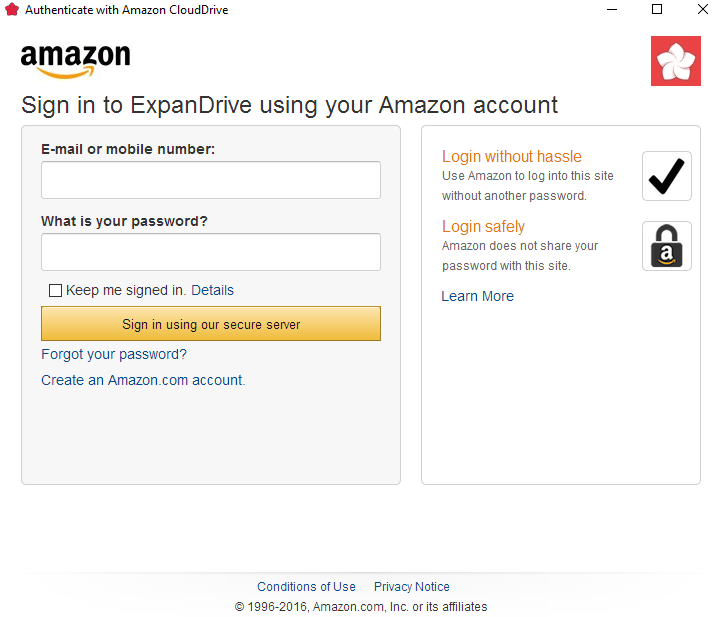 Press the ‘Log into Amazon Cloud Drive’ button. The Amazon authorization screen is then displayed. You can now sign in with your Amazon account. Once you fill in your login credentials, the cloud storage configuration screen will appear. Click on Connect to immediately map your Amazon Cloud Drive. If you choose the option Save, to connect the drive later you would need to press the ‘Play’ button right next to it.